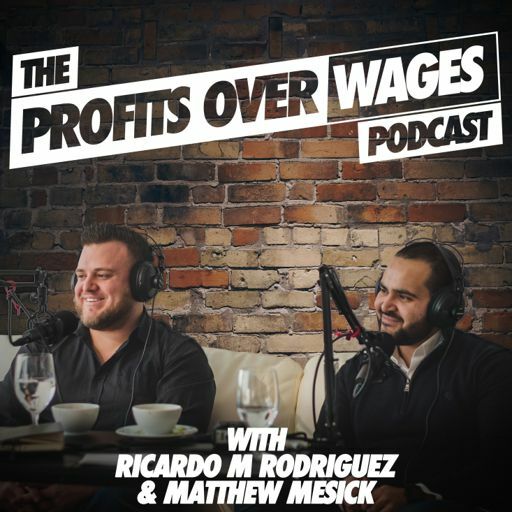 On episode #37 of the Profits Over Wages Podcast we sit down with Joel Schaub, VP of Mortgage Lending at Guaranteed Rate. Joel is a highly recognized Chicago mortgage specialist with 13 years of experience in lending. He is one of the top loan officers at Guaranteed Rate and a member of The President’s Club. Joel is also recognized as Top 1% of all loan officers nationwide for annual volume having exceeded $100 million over the last three years. He has handled 2200+ transactions with a career loan volume in excess of $350 million. He’s been awarded 100% customer satisfaction every single year since 2010. Joel specializes in providing low to no closing cost options for both new buyers and those who are refinancing and is known for his TV advertisements showcasing his $350 Flat Fee Mortgage. He’s known to give closing credits to clients and gave back $260,000+ of his commissions last year. He is also an avid Cubs fan and season ticket holder, and has 12 billboards in the Wrigleyville area with his slogan Chicago Fan, Mortgage Man. For honest service and real advice from a dependable professional, Clients and Realtors Know, Just Call Joel. On this episode we talk about how Joel has been able to get to $100 million in volume over the last 3 years and he gives advice on how to get started and how to grow your book of business as a new loan officer. We also talk about how Joel was able to not only survive but thrive after the real estate market crash and why in business you must focus on building life-long relationships and giving back as much as you can. #30 - [Special Edition] Do You Have a Favorite Failure? Is There One That Set You Up For a Future Success?